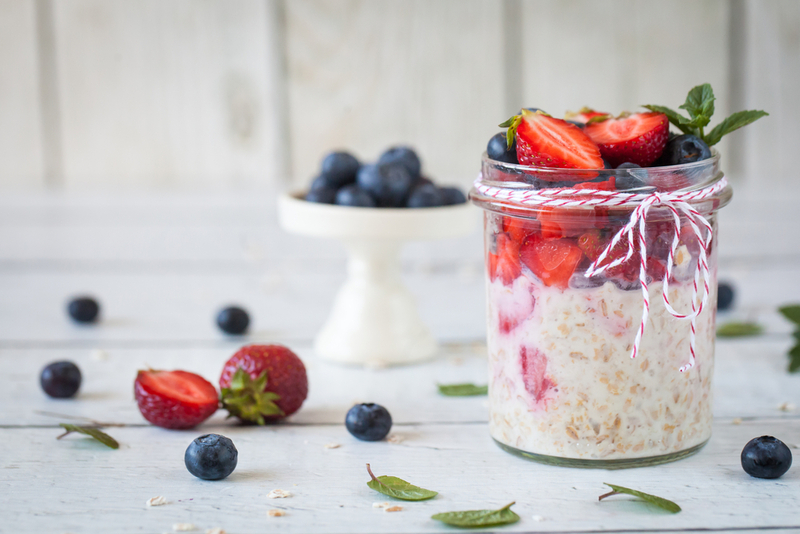 Add oats, milk, yogurt, and chia seeds to jar, along with desired sweetener. Mason or empty jam jars are ideal. Put a lid on the jar and shake to combine. Add fruit and stir gently until combined. Put some fruit pieces on the top. Place in fridge overnight and up to 2 days; maybe longer depending on the type and ripeness of the fruit. The non-banana varieties can be good after 4 days. During the overnight soak, the oats and chia seeds absorb the liquid and soften. They have a great eating texture by the next day.